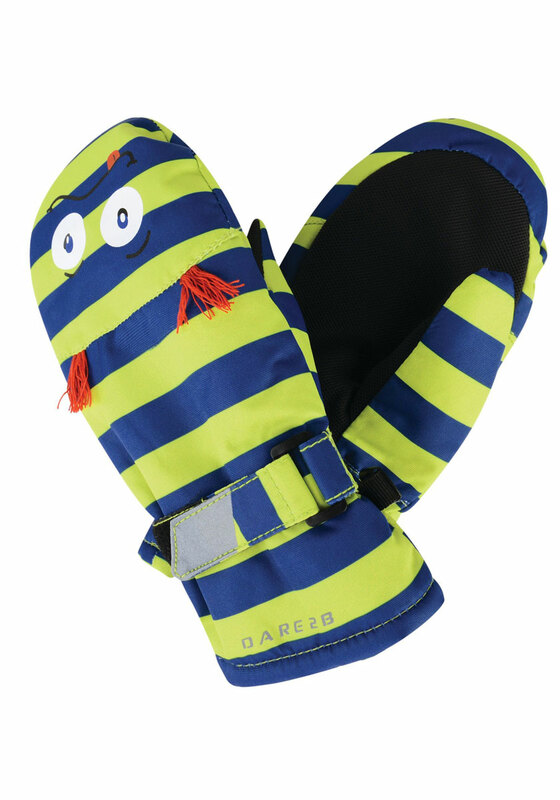 Sweet 'Monster' style mitts to keep little hands warm and dry in cold conditions. Keeps fingers closer together for greater warmth. Made from tough-wearing polyester lined with high-warmth, low bulk fill. Elastic wrist to seal out the powder. Textured palms for grip.